The agency is working with the Commodity Futures Trading Commission (CFTC) to determine whether some traders used fake orders and other price-manipulating strategies in order to move the price of Bitcoin. While the scandal is weighing on cryptocurrency traders, the news isn't all bad. 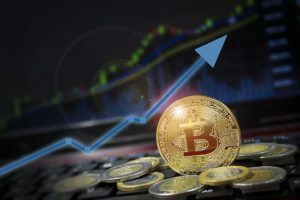 Billionaire and cryptocurrency investor Mike Novogratz said the DOJ investigation is a positive development that will help contribute to the long-term health of the markets. "Weeding out the bad actors is a good thing, not a bad thing for the health of the market," Novogratz said in an interview with Bloomberg. "Plenty of exchanges have these inflated volume numbers to create some sense of excitement around coins." Plus, Bitcoin prices are still above their lower resistance level, which has provided key support over the last month. We fully expect Bitcoin to stay above its resistance line and recover once traders put the scandal behind them. Here is a recap of the top five cryptocurrencies by market cap as of 12:00 p.m. EDT. Even though BTC prices have dropped 40.48%, from $14,112.20 on Jan. 1 to $7,504.02 today, we aren't worried. Yes, if you jumped in around January and have watched the Bitcoin prices plummet, you might be tempted to cut your losses. In fact, we're anticipating a change to Bitcoin's network that could be a game changer.